Careful & Caring Babysitter Available Now! 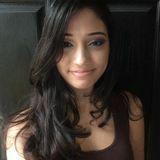 Want to connect with Jalisa? Hey my name is Jalisa. I am a child care provider who is talented, determined, goal oriented, dedicated and looking for work in Orlando. I look forward to hearing from you! Sweet baby sitter needs 2 lovely kids!